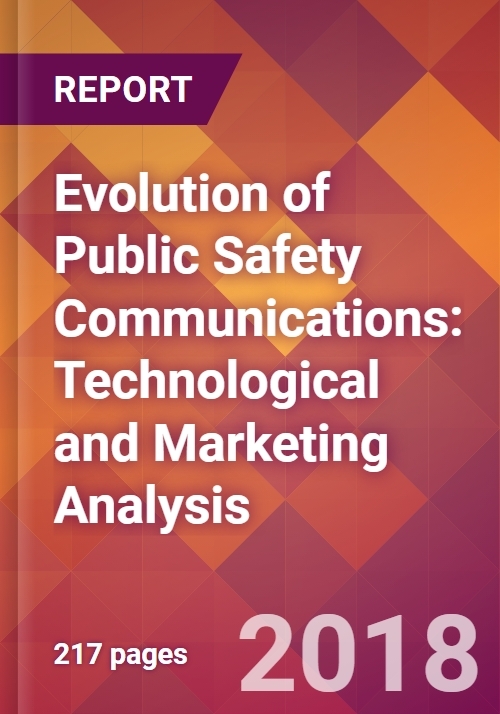 Development of Public Safety Communications (PSC) is an important part of governmental efforts to keep first responders well informed and safe in disastrous situations. The dynamics of technologies that support PSC require periodic review of multiple technical contributions and related markets’ changes. The report reflects the history of PSC and follows the road of their evolution. Two major groups of standards - P25 and TETRA - define specifics of PSC worldwide. These LMR standards are being in the development for at least twenty-two years and they supported and continue to support voice and relatively low-speed data that first responders’ communications required. At the present time, P25 and TETRA standards are mostly completed and moved to the stage of maintenance and some enhancements. In the last several years, commercial cellular communications achieved a significant progress in enhancing performance and economic characteristics, such as the speed of transmission, reliability, ability to communicate with fast moving objects, the cost factor and other. 4G technologies (such as LTE and WiMAX) proved their attractiveness; and the industry, especially R&D, is looking for introduction 5G technologies in 3-4 years. The PSC community, which requires to enhance connectivity to support video and massive data files with high-speed reliable transmission as well as to improve other characteristics, such as network economics was investigating applicability of LTE for PSC; and this effort led to decision to adapt this commercial cellular technology that provides the economies of scales for critical communications and to build PSC networks based on the LTE technology. One such a network - the FirstNet - is being deployed as the U.S. nationwide first responders system. The FirstNet development is in the evolving stage, and its implementation has begun. Other countries are also experimenting with LTE network structures built specifically for PSC (in this report, we addressed such developments in England and other countries). The report is written for a wide audience of technical and managerial staff involved in the design and implementation of PSC networks as well as for users such networks. 3.5.2 TETRA Trials and Deployments in U.S.